How many times do you see something happening a split second before it does? And nine times out of ten it is an accident, one you didn't foresee in your risk assessment because it's a tiny distraction and split second judgement call; you know you shouldn't leave that fire unattended, step away from the child playing with the 'spear'; just as you 'imagine' what's going to happen a loud wail reaches your ears and you turn to see the exact disaster being played out in slow motion. 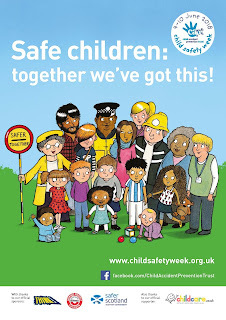 Today is Child Safety Day part of Child Safety Week run by Child Accident Prevention Trust specifically to raise awareness of the risks of child accidents and how they can be prevented. They provide a range of resources to help practitioners run local activities and events and promote safety messages in a fun and engaging way. 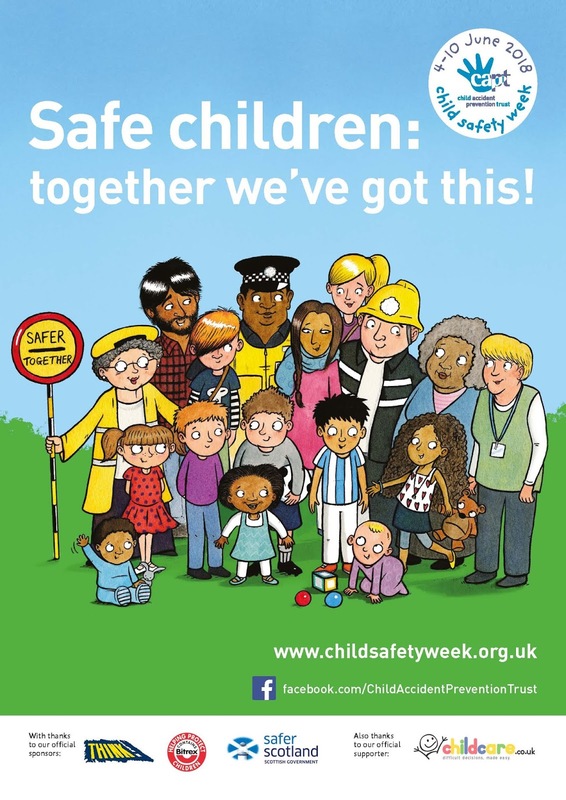 Download the Child Safety Week Action pack from the Child Accident Prevention Trust here. And it might be time to renew your paediatric first aid certificate? Look for suitable courses, some are specifically designed for forest school settings, here.